Jack-up rigs are towed around by barges to drill new wells. When a jack-up traverses into a new sector, environmental permitting regulations often change, and new regulator stipulations apply. This is especially salient when it comes to underwater noise, and in Germany (www.osc.co.uk/sectors/windfarms), the rules are intransigent (Jiang et al., 2015). Do I need to consider marine mammals in my drilling impact assessment? This is dependent highly on drilling location. In Europe, North America, New Zealand, and Australia, the answer is ‘yes’. Other countries vary, but increasingly the answer is ‘yes’ for everywhere. 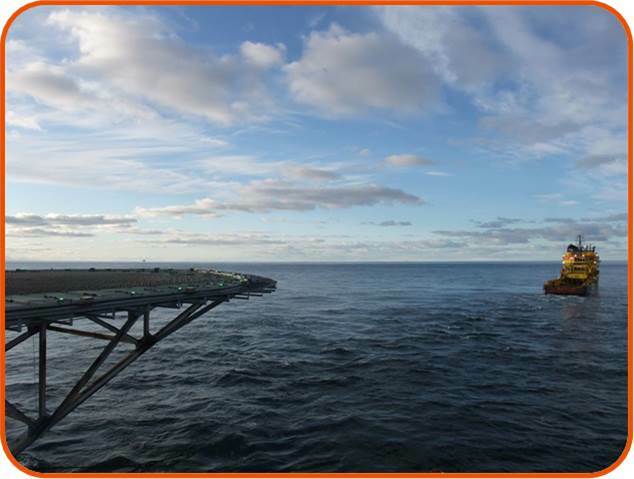 Certainly, compared to other Oil and Gas (O&G) activities such as seismic exploration/profiling and conductor driving, drilling and production noise emanating from fixed, metal-legged offshore installations is considered generally to be relatively low level (120 dB re 1 μPa) and in the frequency range of dominant tonals (0.02–1.4 kHz, with little radiated noise over 8 kHz (Todd and White, 2010)). Odontocetes (toothed cetaceans) vocalise and detect mainly mid–high frequency sound (see chapters 1 and 8 in Todd et al. (2015) for a review of hearing and vocalisation ranges in odontocetes). With respect to offshore drilling and production, there are various short and long-term operations that may be detected by, and/or influence the behaviour of odontocetes, and others that are less likely to elicit responses. What drilling activities affect marine mammals? In the short term (hours c.f. months), supply boat, conductor driving, and Vertical Seismic Profiling (VSP) operations have potential to produce frequencies in the range of odontocete hearing (Jiang et al., 2015). Like pile driving during windfarm installation, conductor driving in particular has the potential to cause physical damage, masking of important sounds and/or habitat exclusion effects; however, longer-term (2–3 months), non-impulsive, low Source Levels (SLs) and frequencies produced during drilling and production operations are unlikely to cause physical damage, masking of important sounds and/or habitat exclusion effects of odontocetes (Todd et al., 2015). Mysticetes (baleen whales) utilise sound in lower frequency ranges, and may be affected differently. In Europe, MMOs are used for VSPs and conductor driving. Passive Acoustic Monitoring (PAM) systems and PAM Operators are a requirement in German waters, and are now used in UK and Dutch waters as well (Todd and Todd, 2009). In any country where there are Special Areas of Conservation (SAC) or other Marine Protected Areas (MPAs), the precautionary principle is best. Ocean Science Consulting can fulfill all MMO and PAM requirements, please contact us for more details. Jiang, J, Todd, VLG, Gardiner, JC, and Todd, IB (2015): Measurements of underwater conductor hammering noise: compliance with the German UBA limit and relevance to the harbour porpoise (Phocoena phocoena): Euronoise 2015. Acoustical Society of the Netherlands (NAG) and Belgian Acoustical Society (ABAV), Maastricht, The Netherlands pp. 6. Todd, VLG, and Todd, IB (2009): Expert assessment: exploration drilling and harbour porpoises (Phocoena phocoena) in the Borkum Riffgrund SCI (German Sector): Advice Document 2. Report to Wintershall AG. Ocean Science Consulting Ltd., Belhaven, Dunbar, Scotland, UK. 76 pp. Todd, VLG, Todd, IB, Gardiner, JC, and Morrin, ECN (2015): Marine Mammal Observer and Passive Acoustic Monitoring Handbook. Pelagic Publishing Ltd, UK. 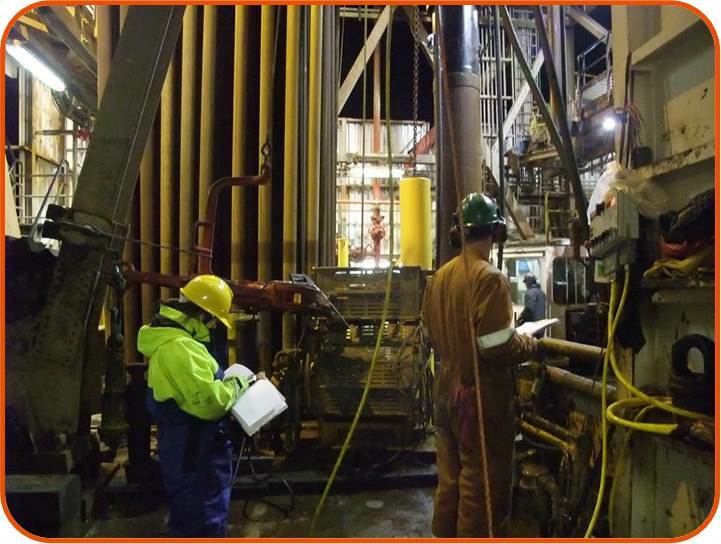 Todd, VLG, and White, PR (2010): Proximate measurements of acoustic emissions associated with the installation and operation of an exploration jack-up drilling-rig in the North Sea. Springer, Cork.